Beating A Dead Horse With A One Trick Pony is an Action, Adventure and Casual game for PC published by Pomp Life Studios in 2018. Revel in the destruction of days past. Contemplate your actions or inaction. Escape the confines of a rigid structure. Visit the church and pay respects. Beating A Dead Horse With A One-Trick Pony is a first-person RPG (ArtPG) with a narrative, mild melee combat, and some platforming elements. The game is a sequel to, Jeff Koons Must Die!! !, and is set in the same destroyed museum that the previous game ended in. The game comprises six levels and you must escape each successive area in order to progress through the story. You will enlist the help of some old friends to help along the way and, hopefully, uncover your own path. Art and Commerce: Visit the opportunity hub in order to generate some currency, attend the learning annex, and apply to exhibit at Art Basil Minneapolis. Keep an eye on your relevance though, you will need it. Art and Celebrity: Visit a mystical land where you will learn how to become an art star. Create your own personal mythology and acquire currency from collectors. Be careful though, you might lose yourself. Redemption: Re-visit the past and connect with your roots. Excavate. The Road Home: Escape the final structure and light four beacons in order to finish the game. Easter Eggs: There are multiple easter eggs and hidden areas in the game. Some achievements are unlocked by finding these areas. 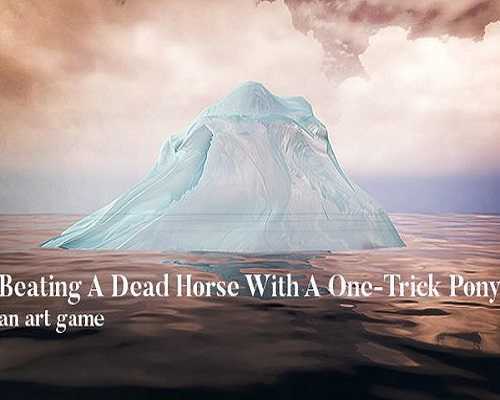 0 Comments ON " Beating A Dead Horse With A One Trick Pony Free "